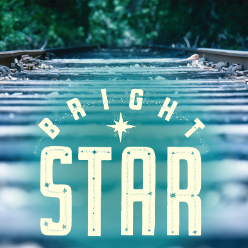 Inspired by a real event and featuring the Grammy-nominated score by Steve Martin and Edie Brickell, Broadway's Bright Star tells a sweeping tale of love & redemption set against the rich backdrop of the American South in the 1920s and '40s. When literary editor Alice Murphy meets a young soldier just home from World War II, he awakens her longing for the child she once lost. Haunted by their unique connection, Alice sets out on a journey to understand her past - and what she finds has the power to transform both of their lives. Propelled by an ensemble of onstage musicians and dancers, the story unfolds as a rich tapestry of deep emotion, beautiful melodies & powerfully moving performances.